My Lab mix Ace is a gross dog. He drools and sheds more than most, which means there is often crusty hair and drool stuck to his collar. He’s always dirty and loves to dive head first into any source of open mud or water. 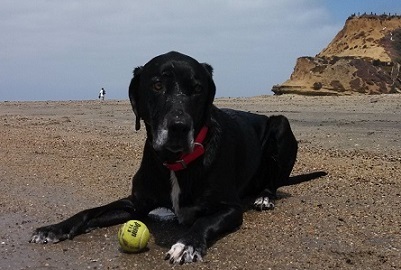 Of course, I love my dog anyway, and one of our favorite things to do together is go to the beach so he can retrieve a tennis ball from the lake or ocean. Over the years, we have ruined several nylon collars due to this habit. They just never seem to get clean again after a day at the beach, and that “dog odor” is there for good. If this sounds familiar, you may want to consider a waterproof collar for your dog. One of the waterproof dog collars available at dogIDs is the Waterproof Soft Grip ScruffTag personalized collar. This is the collar you see pictured throughout this post. It comes in nine colors, and it’s perfect for active dogs like Ace. Even non-water dogs get dirty! Even if your dog doesn’t like the water, he probably still gets pretty wet and dirty every now and then. 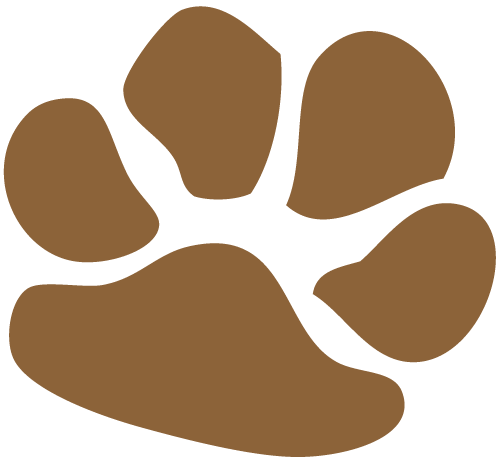 For example, just a walk on a rainy day can leave a typical dog collar smelly. Or, what if your dog loves to play and wrestle in the snow? 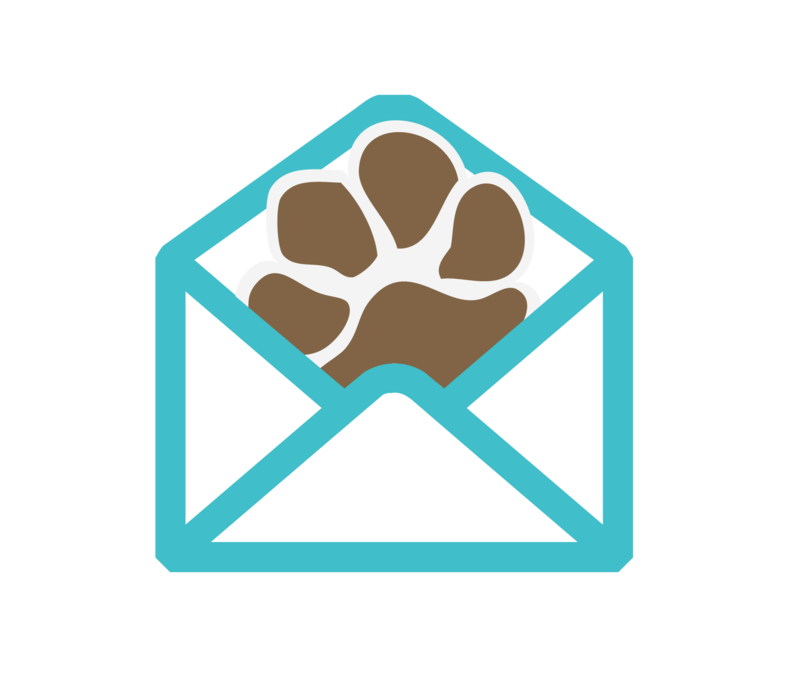 Many of you also probably like to go camping and hiking with your dogs in all types of weather, which is the perfect opportunity for them to roll in dirt and who knows what else. No big deal with a waterproof collar. Just rinse it off, and you’re good to go. The Soft Grip ScruffTag collar is odor resistant. Yep, it won’t have that permanent “dog odor.” This is the number one benefit to this collar, in my opinion. 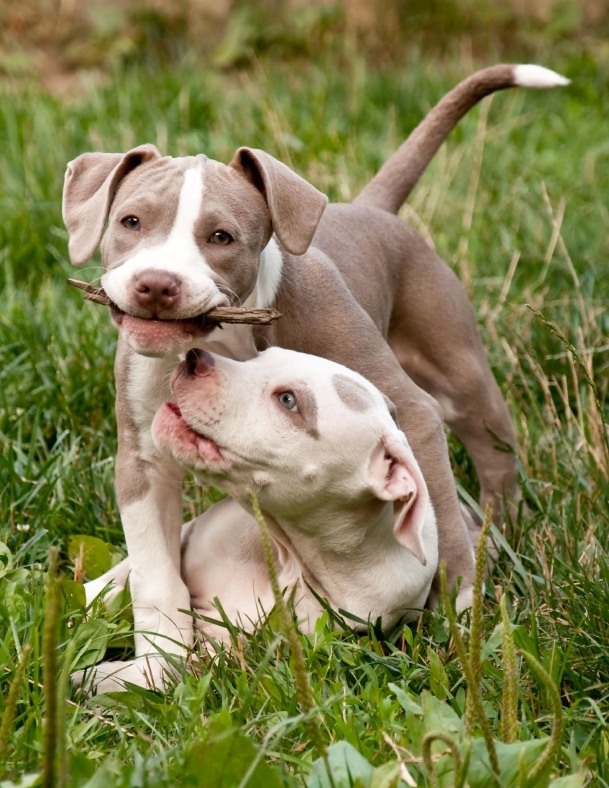 You won’t have to keep replacing collars. 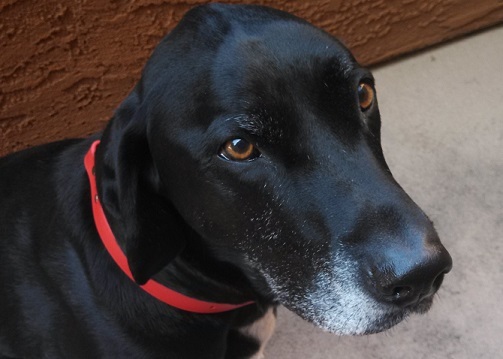 You could just keep replacing your dog’s nylon collar once it gets dirty like I used to do. Or, you could invest in a waterproof collar that can stand up to your dog’s active lifestyle. Not only is this collar great for beach adventures, but it’s a good collar for everyday use as well. It comes with a stainless steel nameplate. 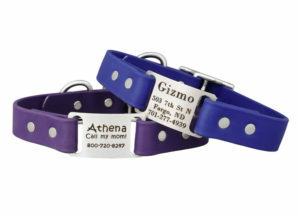 The personalized, engraved nameplate of the ScruffTag dog collar is corrosion proof. The collar’s design is trademarked by dogIDs and was designed to eliminate the need for noisy dog tags that often end up falling off or rusting. The nameplate’s engraving is guaranteed to last for life, and if you change your phone number or address, dogIDs can even update the engraving for $5. dogIDs also offers waterproof personalized collars with camoflauge and reflective strap if you’re looking for a collar that does double duty. It’s durable for strong pullers. The ScruffTag collar is made with Soft Grip poly coated nylon webbing. It looks like leather, and the material was originally used for horse bridals and halters. It’s tough, yet soft, and it won’t even crack in severe weather conditions. Overall, a waterproof collar is a nice option. I love fabric collars and colorful nylon collars, but a waterproof collar is perfect for outdoor adventures. If you’re interested in a collar that serves two functions, you might be interested in dogIDs other waterproof personalized collars with camouflage or reflective strap. Can you think of any other reasons why a waterproof collar would come in handy? Let us know in the comments! My friend has a Bernese Mountain Dog. I want to get the water proof dog collar (scruff Tag) except this dog would need a two inch wide width and I’m not sure the width . You collars only got to 1 inch width which is to narrow for a long hair Bernese Mountain Dog. Please consider making collars for bid big dogs. This mountain is the best swimmer I’ve ever seen! Unfortunately 1 inch width is as wide as our collars get. We do have plenty of big furry friends who still wear these, they are just not as visible. 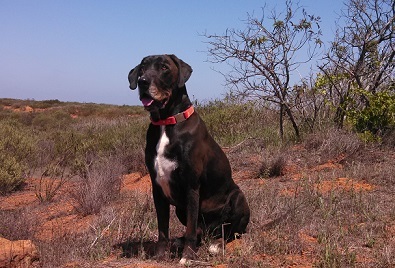 Our Italian Leather Collars do come in a larger width and are water resistant if needed. I totally agree! I have a large Mastiff that loves going in the lake, so this collar would be ideal, but the width needs to be 1.5 inches. The material we make our collars in only comes in 1 inch. However, we have had big dogs put these to the test and they have never broken! I have a Boston Terrier that his neck is badly breaking out in sores and whelps to where i have to get vet care. I have tried nylon, leather and harnesses. Would this waterproof collar be a collar he could wear without breakouts?